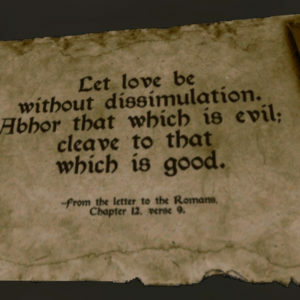 Visions is a Christian MMORPG currently in development, set in 2nd Century Holy Land, starting at 100 AD, during the reign of Trajan which is during the time of the early Christian Church. 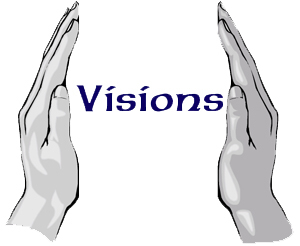 Visions is a quest and skill based game (as opposed to an experience level based game) in an online persistent world. The Christian element will be evidenced through Biblical history quests and scripture quests that players can do. The MMO element will be evidenced through the persistent online world with other players connecting in to do quests and experience the game with you simultaneously. The RPG element will be evidenced through the players interacting with the game through the perspective of an avatar that they create from the character creation menu, and the trade skill that the character studies by doing professions quests. Experience history in the family friendly game, Visions! What is a Persistent World? A persistent world means that the game keeps going even after you log off. Others can keep playing the game in the same world that you play in, 24 hours a day, 7 days a week, 365 days a year. 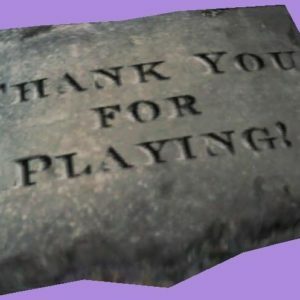 The game will always be ready when you are (barring unforeseen circumstances, planned downtimes for patches, and unplanned technical difficulties that sometimes arise). You can invite your friends to join you at a specific time or you can login and meet new friends already playing in the game world! The term MMORPG is an acronym for Massively Multiplayer Online Role Playing Game. Which means that it is a computer game that is designed to be played online with a bunch of other people all playing the same game with you at the same time. In a MMORPG the game is always waiting for you; all you need is a computer, the game client, and an internet connection. Are you really creating this game with a volunteer team? Yes, everything is being done by volunteers. All the programmers are volunteers, the artists are volunteers, the writers are volunteers, the researchers are volunteers, the musicians are volunteers, and the administrators are volunteers. We have no funding, no sponsors, and no budget. There are no paid positions. Of course, we would like to have funding and paid staff, and we’re working to build the business so that we can get to a point where we can pay our developers, but presently there is no budget for that. We’ve been functioning with volunteers since the company was established in 2003. We connect from various locations with our development tools and communicate using the internet. Most of our developers work from their own homes in the evenings, giving up their leisure time to help work on the game. We have volunteers from all over the world working on Visions. A game in the Holy Land… how can that be? This is a chance to experience history as a participant! And history is full of exciting stories that can be retold in this fun virtual medium. We plan to make an interactive environment full of quests and intellectual advancement opportunities. Players will be able to choose a character (human of course!) from among several different cultural backgrounds, customize their appearance, and enter a game world full of challenges and adventure. There will be social interactions, opportunities for players to develop customized communities, settle an area, or travel the landscape seeking adventure and fortune. There is an underlying story which will serve as an ulterior motive toward an end-game experience, but there will be plenty of activities to participate in besides that single goal. Is this a religious game? If you define religious as meaning it has Biblical content, then yes. The answer is NO however, if you define religious as meaning a person has to be a Christian to play the game. Anyone can play. The game will be set post Bible writing, beginning about 100 AD, in hopes to avoid conflict with any Biblical storylines. 100 AD is at the beginning f the reign of Emperor Trajan in Rome. 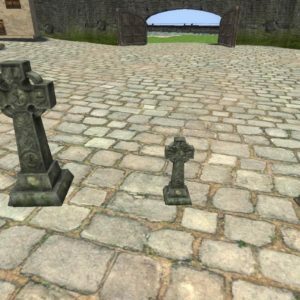 The original idea developed from a desire to create a Christian game, that is fun and exciting (traits often attributed to secular games) while still encouraging Christian values. Visions hopes to go a step beyond that and reach out to players from all walks of life who are looking for a refreshingly different kind of Role Playing Game unlike any other currently available. It is our hope that players will enjoy playing Visions regardless of personal belief in God. Will there be any fighting in it? In the 2nd century people faced brigands, thieves, soldiers (and wars), wild animals, social and political uprisings, and all manner of dangers on a daily basis. In order to create even a semi-realistic world, we feel we must include some element of danger and provide a means of self-defense. So yes, expect there to be some fighting in it. There are a lot of things to learn in Visions! We plan to incorporate a rich and captivating tradeskill system which will allow the players to generate a diverse economy within the game world. Players will be able to pursue training among a variety of professions such as Soldier, Hunter, Entertainer, Potter, Farmer, Physician… we currently have 18 character professions planned. Players will develop their character’s skills according to their own interests and curiosity, and according to the distances traveled in pursuit of new knowledge. We have several riding mounts planned for use by the characters. Each mount will have unique traits, and will come in a variety of qualities. If all goes according to plan, players will even be able to breed their animals to try and produce higher quality offspring. And yes, there will be carts and chariots! Chariots will be available very early in the game as will horses. Other mounts may be further down the roads as we are in need of animators who are skilled at animating our animal models. Will there be any player housing? Yes! This is a high priority goal on our list. Players will have to work hard to achieve quality housing, but once attained, it will be a useful resource as well as a safe haven. Players will be able to decorate their homes and yards to some degree. If all goes as planned players will even be able to plant gardens and trees on their property. What kind of Professions will we be able to play? We have 19 professions planned plus a category of General skills that everyone can learn. The professions will be divided up into “colleges” which players will have to choose between as they progress through the game. There will be Craftsmanship, Outdoors, Physical, and Scholastic. You can learn more about the Professions and Colleges on this section of the forums. Due to the volunteer nature of our team we are not able to announce a completion date yet. Our progress is not as consistent or as fast as we would always like it to be. However we have now advanced far enough into development that we can invite financial contributors to log in to the Alpha Test server to wander around and see what we are doing. You can become a financial contributor by using the donation button on this page, or simply by purchasing a download of the Alpha client from our online store. What is there to do in the Alpha? We have primarily been focusing on implementing some tradeskill recipes that can be crafted in game so players have something meaningful and constructive to do while we continue working on the game. There are mining, blacksmithing, cooking, pottery, and a few carpentry recipes that can be created now. See the full list of active recipes on our Recipe page. Combat does work, but presently the enemies do not fight back, not even the default Bigworld giant spiders (which will be getting smaller soon!). There are a few leopards in the world. Can you find them? Exploration is a big part of the game world right now, there are six seamless zones for a total of 12 km x 18 km of terrain and ocan area to explore on the island of Cyprus. There are free mounts to “borrow” from the world, and drops to be collected and sold to merchants from kills. There are stone blocks that can be used to create artistic structures in the game. There are cities to discover, and forests to get lost in. It’s a pretty big world, and growing all the time. Come see what we are working on! What’s the big deal about Alpha? Very few other games invite the players to come see what they are doing during the alpha phase of development. Most games wait until it’s done, or very nearly done, and only show players the finished product, and call it a “Beta” test, when really what they are actually doing is conducting a pre-launch marketing strategy to entice players to subscribe. We’re doing something most other games are afraid to do. We’re showing the players what the game looks like during development, before the game is finished. We are giving players the opportunity to live vicariously through us and get a glimpse of what it’s like to be a game developer. They get to see the bugs and “unintended features” that we are fixing before it’s ready. We hope this will be exciting for some people to get a peek inside and see what it’s like to make a game, and watch the game grow up as we work on it to prepare it for launch. We hope it is exciting enough that people will pay to see this process. This is a super rare opportunity in the game development world, to see a game during Alpha, and we think many players will be excited to participate in this exciting phase of development. Every game producer defines the phases of development for his or her game differently. Some games have Pre-Alpha, Alpha, Beta. Some games add a Stress Beta, some include that in the final stages of their Beta. It’s somewhat variable. But essentially Pre-Alpha is the planning stage before development begins. Alpha is the stage before the core elements of the game are implemented. And Beta is when the core elements are being implemented or refined. For Visions we have outlined a 2 stage Alpha, and a 5 stage Beta before launch. We are currently in the second stage Alpha, preparing for our first stage Beta. None of the quests, recipes, log books, or core design elements of the game are working yet in the Alpha, but we’re working hard to get to the point where we can get them implemented. For the 5 stage Beta we will divide up the different progression stages of the Professions starting with Basic skills for the 1st stage Beta, and work through until we get to Grand Master for the 5th stage Beta. We will continually be inviting players to join us through these stages so we anticipate having a gradual player base increase. We will be conducting stress tests throughout the various stages of development to maintain stability of our servers. When we get the last of the functionality for the Professions quests working we will be ready for live launch. We will continue adding more content after launch, expanding the terrain and adding more quests as we are able.